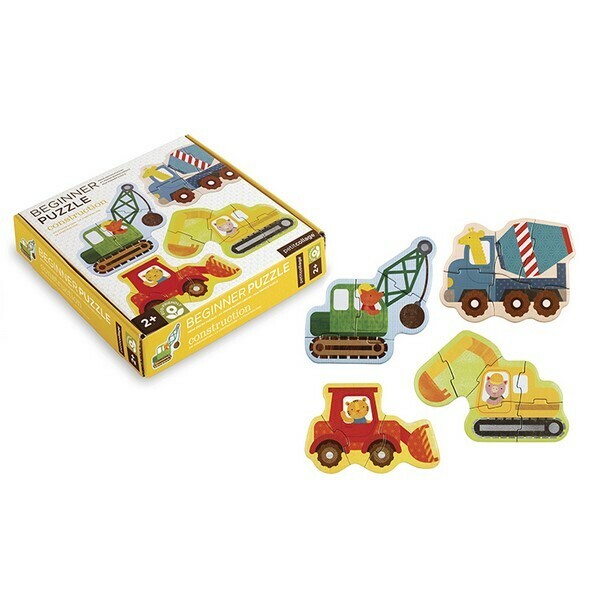 Construction: 4 progressive puzzles that will grow with kids! From 2 years old. This Construction - Beginner Puzzle includes four puzzles. Easy slide box allows for quick clean-up. - Not suitable for children under 24 months. - Contains small parts that can be swallowed; Choking hazard.